There is an increasing importance for automotive assembly plants to continuously monitor process quality throughout the production process. This need is driven by OEMs pushing the limits of design by using complex shapes, new materials, and cutting edge processes. Locations of holes, slots, studs, and welding lines along with flush & gap of doors, hoods, deck lids, and other hangers need to be measured and monitored throughout the assembly process. These inspections ensure that vehicles are built within the ever more stringent tolerances set by automotive manufacturers. 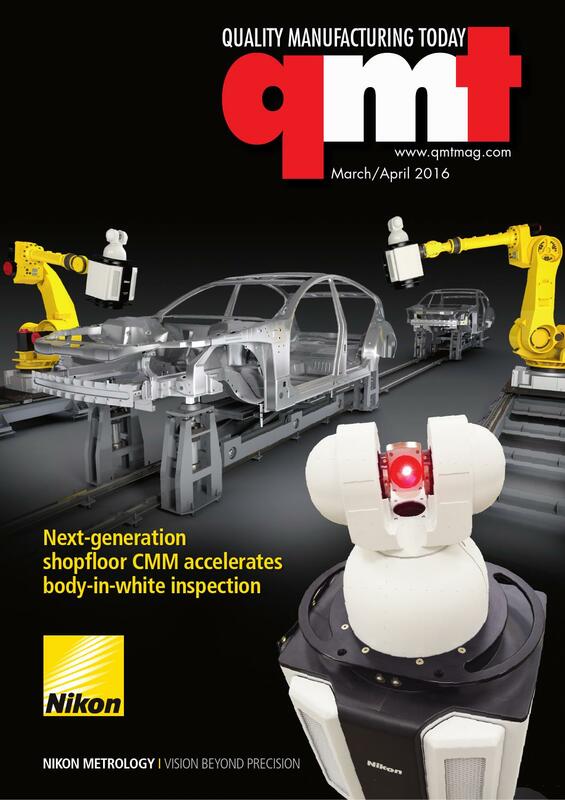 Read the full QMT (March/April 2016) cover story here. Nikon Metrology introduces the MV331/351 Laser Radar for large scale, automated, non-contact inspection. The Laser Radar provides a unique alternative to the shortcomings of the traditional inspection methods such as horizontal arms CMM or fixed inline camera systems. New usability features such as an integrated robot mount and removable air filters makes this system even better suited for robotized inspection on the shop floor enabling faster measurement of surfaces, sections and complex features. To find out more about the Nikon Laser Radar, click here.